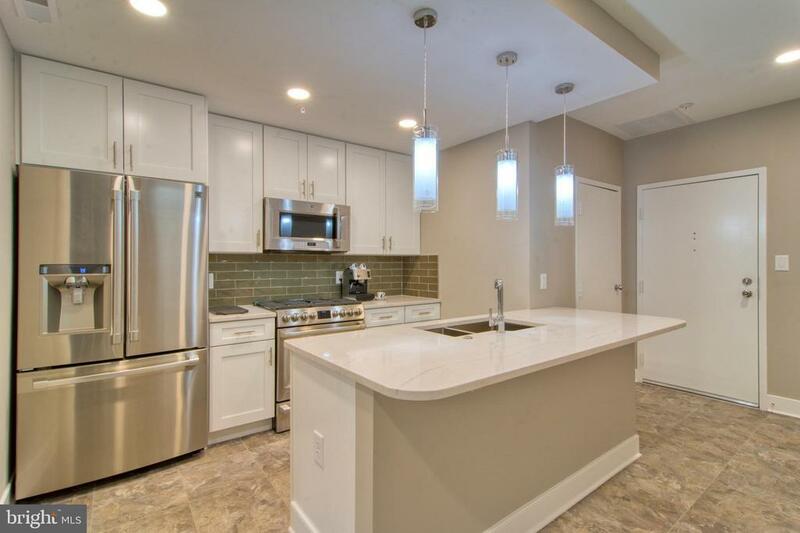 Beautifully remodeled condo located in the heart of downtown Lancaster - across Market Street from Lancasters famous Central Market.This former department store was designed in the Beaux Art style by well known Lancaster architect C. Elmen Urban. Hager is centrally located and is only one half block from Penn Square, and is listed on the National Register of Historic Places. Converted to condominium living in the mid 1990s, The Hager Building is home to The Shops at Hager, which includes Carrs Restaurant for fine dining, and for less formal accommodations: The Taproom Brewing Co. and Old San Juan Latin Cuisine, among other establishments.The kitchen of the unit is equipped with professional grade appliances. It has a peninsula workspace with a pearl-marble quartz countertop and deep bowled stainless-steel sinks. Other amenities include dove-tailed cabinetry with self closing drawers and doors.The large formal dining area is ideal for dinner parties, with space left over suitable for a baby grand piano. Two large skylights provide plenty of natural lit space throughout.This 2BR condo has ample walk-in closet space. There is a new, ornate, see through fireplace installed that divides the living room and the master bedroom.Come, experience this premier living space in the heart of vibrant downtown Lancaster - you wont find better - come see it before its gone!